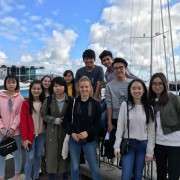 On 25 March the International Department ventured into Auckland to get a taste of city living. 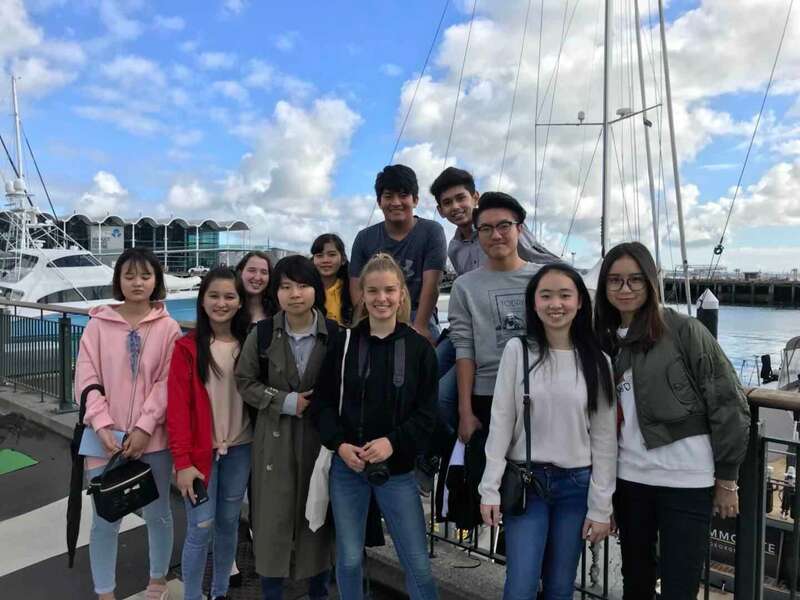 We then sauntered along the harbour front admiring the expensive yachts and posing for shots with the iconic Sky Tower and the occasional owl sculpture. After a few complaints (“It’s the weekend, Miss, why are we walking so far!”) we reached the Sky Tower and shot up to the top in the glass lift. Some of us braved the terrors of the glass floor while all of us marvelled at the beauty that is Taamakimakaurau and her volcanic cones. All of this ‘high’ living made us hungry so we did what the city dwellers do and went out for lunch. The Fortuna buffet was thoroughly enjoyed by everyone; even our vegan German student, Linda, managed 10 plates of veges! 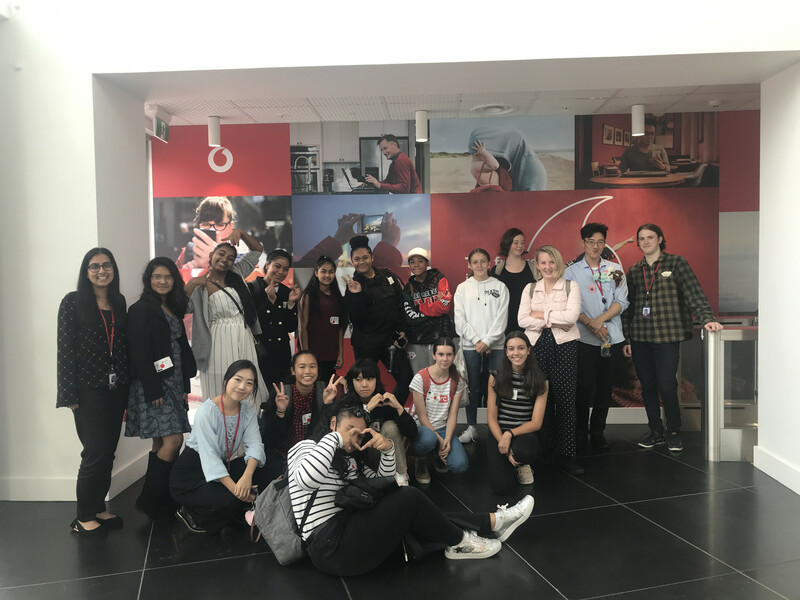 Janessa had a special late 18th birthday celebration up at Orbit restaurant, where she watched the world turn (well Auckland city at least!) Unfortunately more walking was required to catch the train and burn off all the calories that had been consumed but we managed to sneak in a $1 frozen Coke at MacDonald’s before boarding! All in all a real cultural experience!